I just finished the install php for a games thing I'm playing with. Here's a html demo - What do you think? - Maybe too plain. Oh! 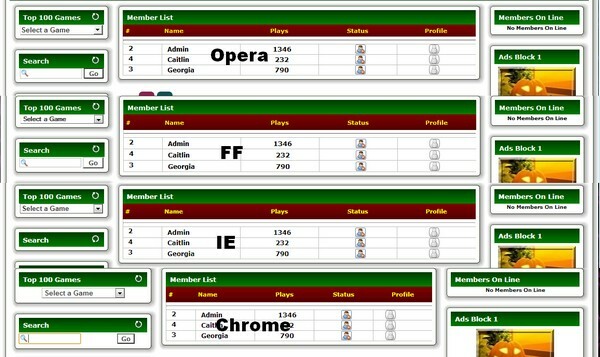 and it's best with FF whatever and IE 9. Just for that I'll change it to "Do not add trailing slashes" just for the http//. About the width? (You don't say what browser you are looking with) Can you take a snapshot for me please, because I can't see anything wrong. Unless I go and by a monitor that will work with the old box I've got in the shed. I think you don't need a screenshot anymore for image/block width since it seems to be fixed already (I viewed it with IE9 and Nightly to compare). No, just fussy like I am. 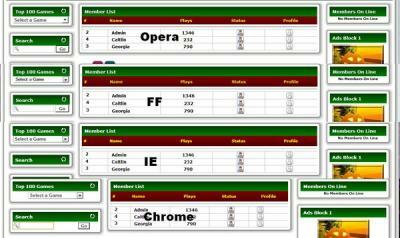 I may have to make a new column for those because FF and IE9 see the padding differently. Should be all fixed - Thank you. I think you've added the IF IE line to correct it, right? This still leaves chrome, safari and opera looking different. Of course I did. And still am for the sake of about 6px difference. And thanks a lot for the picture, as it forced me to install chrome. And it was the inputs were shrinking and not the selects moving. Anyway, it should be Ok this time. The first pic you snapped was when I changed the template and hadn't uploaded the changed css files - Jeez, talk about BAD timing. How many of the %$# browsers do I got to look at! Back soon - Watch this space. My friend, Opera doesn't know what modern html looks like yet. And I ain't going to play any more just for "Opera"
I can imagine Mort, goodluck with your "Games thing"
Thanks for the input my friend. But this is what drives one nuts. All of the pages I made are WC3 compliant, (But the Tooltip wrecks that with the install template) and here we have Chrome that can't see what three other browsers see. So how does one change WC3 compliant markup and css to suit a mediocre browser like Chrome and not screw up the others. Even min-width: 450px !important is ignored by Chrome, while I don't even use it for the others anyway. I did some Googling and found that Chrome has a problem with cells in tables and the only way I can fix it is to fix the table width to XXXpx etc. And I ain't about to do that because it will end up looking like Limun's calendar problem on different resolutions. In my own portal a fixed width is used for the left and right blocks and a % for the center, if the center can't shrink enough for any reason I get a horizontal scroll in any browser I test with. Maybe that is an option for you Mort? I use max-width: 200px !important; for the side columns - And if Chrome can't decipher that, and other people are having the same problem, then I feel loath to accommodate fixed width in a fluid-width theme just for Chrome. I bit the bullet and made the center fixed width because I couldn't stand it after trying all other possibilities just for Chrome. It's a pain dealing with blocks width over different browsers... I spent hours on this topic and sometimes I still cannot render something how I would like to. But the demo gives a better picture of how it really works because it has header, footer and above and below game ads that work on the principle if(!empty - parse this. (Actually all of the Ad-Blocks work on the same rules). Not only that each game can also be sponsored individually with the above and below ads and up to three "side" ads. Anyway, it's called Bitza Games because it is exactly that - A bit of this and that and even some of Icy Phoenix. If you want a copy of the Demo - Just ask and I'll make a zip (45mb) available. And something I was going to look at in the near future, when and if I ever finish cleaning it up is to drop it into Icy Phoenix as a toy using a new page, because just one VAR handles all of the core files.